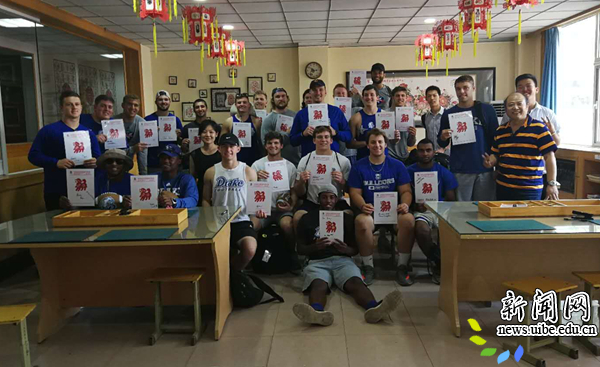 A delegation of 82 football team members and teachers from America’s Drake University visited the University of International Business and Economics (UIBE) from May 23 to June 4, 2018. 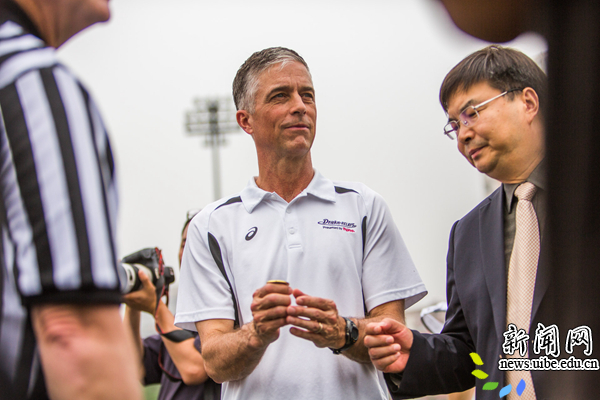 The visiting program included a friendly football game, cultural visits, tours of companies and other exchange activities. 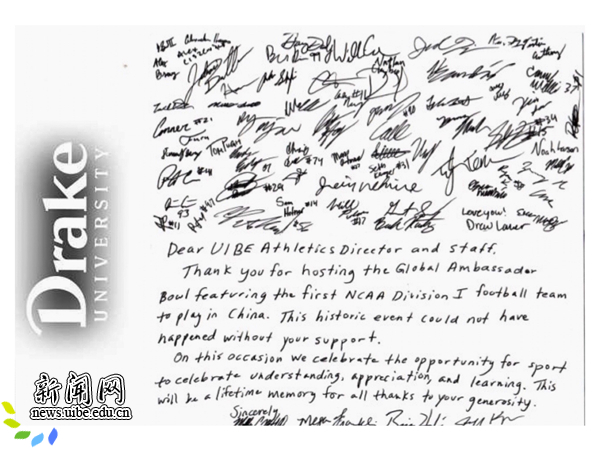 Vice president Zhao Zhongxiu of UIBE met the delegation led by Drake president Marty Martin. Zhao introduced the achievements UIBE has made in its efforts to rank among the world-class universities with world-class disciplines. He hoped the two sides could find more opportunities to deepen exchanges and cooperation. 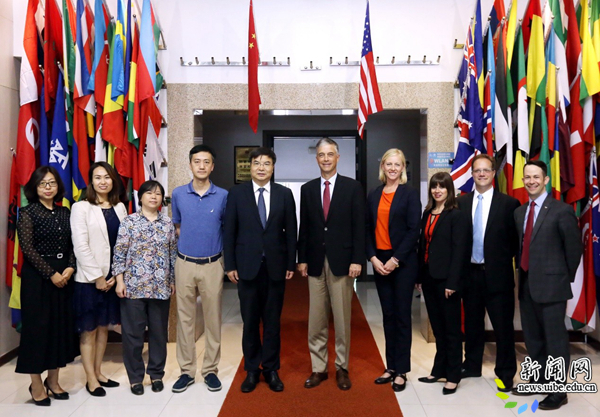 As one of the UIBE’s friendly partners, Drake University has carried out all-round and deep cooperation with UIBE in terms of talents training, scientific research, and student and staff exchanges. President Martin thanked UIBE for its support of the program and promised to work with it in promoting staff and student exchange visits during summertime, and short-term student exchange programs, along with increasing the number of international students.